Have you ever wanted to create an instagram story with more images, so that you can showcase the varieties (Coffe, Cakes, Chocolates, Apples, Burgers, Food, Cakes, Dresses, Pets and the list goes on) you have in your store, online business, or even your multiple talents ? 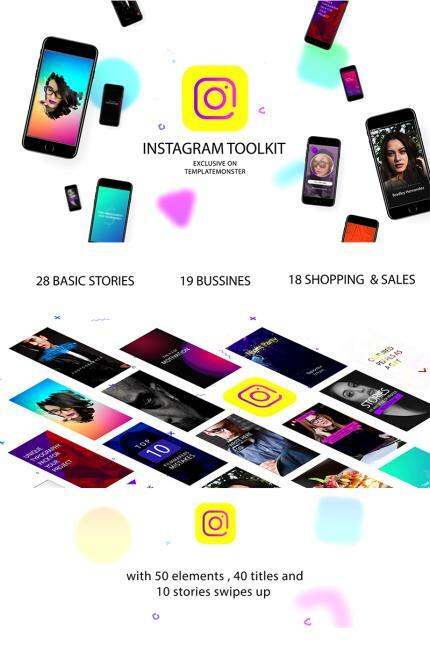 This AE template makes it easy for you.. Do you own a Blog or an Online Business offering varieties of services, goods, tips or talents then this instagram toolkit are for you. Create your own awesome stories with this Instagram toolkit Templates Pack. You can create your story in seconds. Just add your photo or video, replace text and it's done!